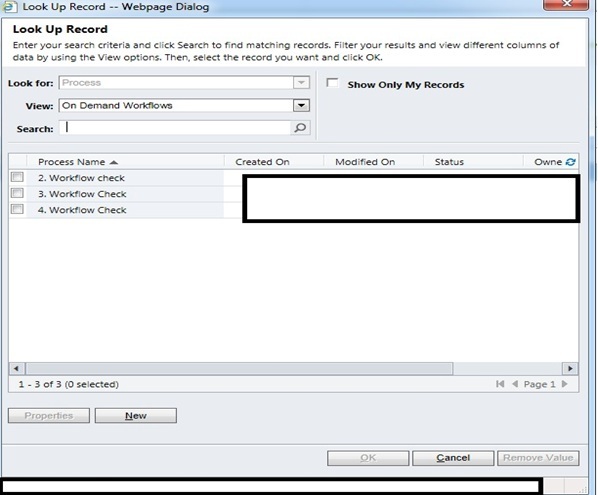 I just recently come across customer reported CRM issue related workflow view displaying on demand workflow list random manner and not displaying them in alphabetically manner. This issue mainly hits you if you got lots of workflow related to particular entity and while trying to run specific on demand workflow you will see lots of workflow in view and needs to manually sort the list to find your workflow. Well looking at issue it seemed really easy issue to fix, so just open relevant view and apply sort on name column and publish the changes BUT this view is called “On Demand Workflows” is not customizable and hence we have to do unsupported change to fix this issue. Following steps done to fix this issue using unsupported manner. Step 1: first find existing view and view definition from the data base. So run following query for this. Please note down savedqueryid as we will be using this in next steps. Step 2: So following is the Original FetchXML definition for this view. As can be seen there is default sort order is not defined in this definition. We will be Modifying above fetch xml with following to include sort order related to this. We refer highlighted change in fetchxml below for this. Step 3: now update this specific view definition using SQL query against CRM database, please replace the SAVEDQUERYID with value noted down in step 1. 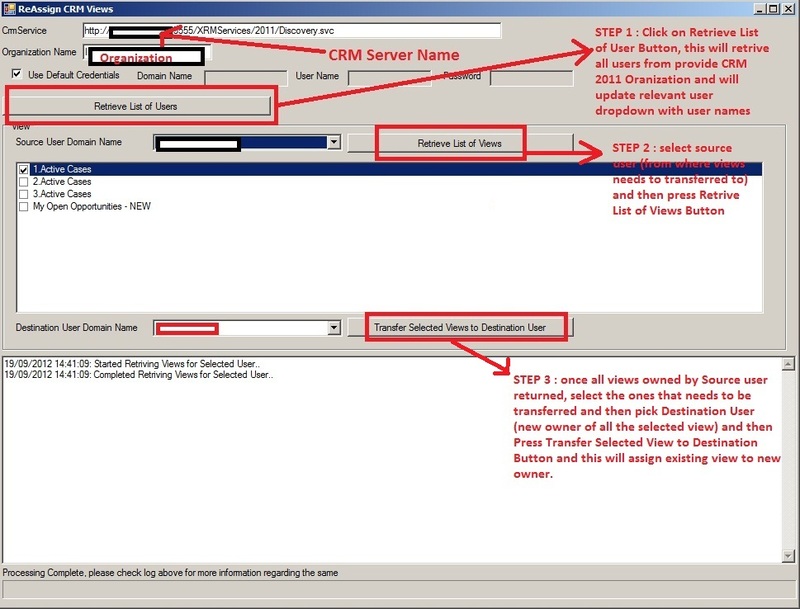 After applying above changes log in to CRM and verify this view is displayed record correctly now. 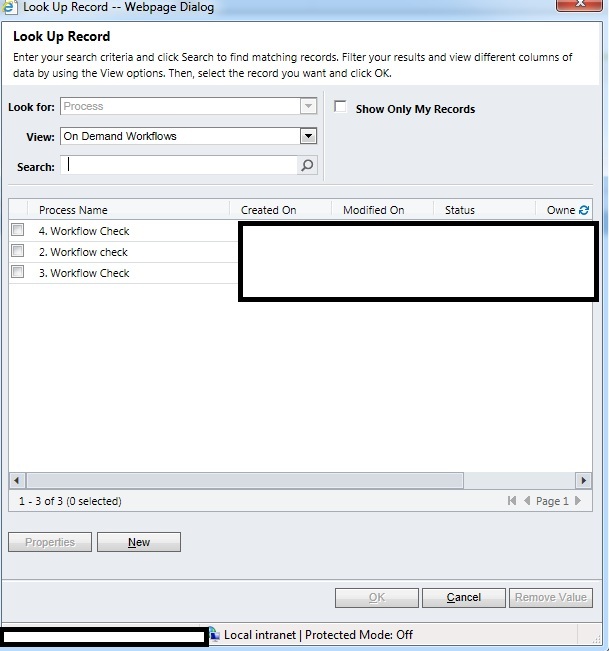 This entry was posted in CRM 2011, Workflow and tagged CRM 2011, Custom Workflow, Dynamics, Tips & Tricks, Unsupported on July 29, 2013 by mayankp.